​Dani A​lves - the most decorated active footballer in the game - has claimed 'it is not possible' that he will not play in the Premier League during his career. The Brazilian, now 35, is currently playing with French champions Paris Saint-Germain, but that isn't stopping him from thinking about a move to the 'amazing' English ​Premier League. 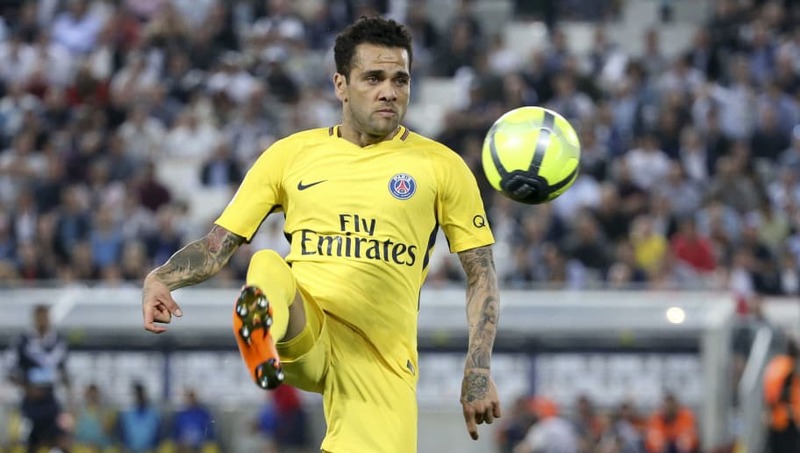 Speaking to the ​Telegraph, Alves was adamant he would make the move one day. “The idea that I might finish my career without going to the Premier League, it is not possible," he began. "For sure, this is the most amazing football in the world. First, because of the respect for the players from the fans, and then because of the passion on the pitch." he added. The former Barcelona man previously had the chance to make the switch to England back in 2017, when he was tracked by Manchester City boss Pep Guardiola. It looked certain that the move would go through, only for the Brazilian to choose PSG at the eleventh hour, although he claims the decision to do so pained him. Should ​Alves become available to Premier League clubs, the Brazilian full-back will surely not be short of admirers. He has won 38 major trophies during his illustrious career and will bring a wealth of experience to any potential suitors.